Eight years ago, I started running ultra-marathons, foot races longer than 26.2 miles. I had just turned 40 and was having a midlife crisis. In addition to signing up for the Leadville 100, I made some other rash decisions, like going back to grad school and quitting horses. Thankfully, the “quitting horses” part only lasted a few months. The grad school part lasted until I had finished my now pretty useless thesis on postcolonial literature. The running part shows no signs of fading anytime soon. Having finished 17 hundred-milers, I can say that running ultras has changed my life for the better. It’s made me healthier, happier, and stronger. I realized only recently that it has also made me a better horsewoman. 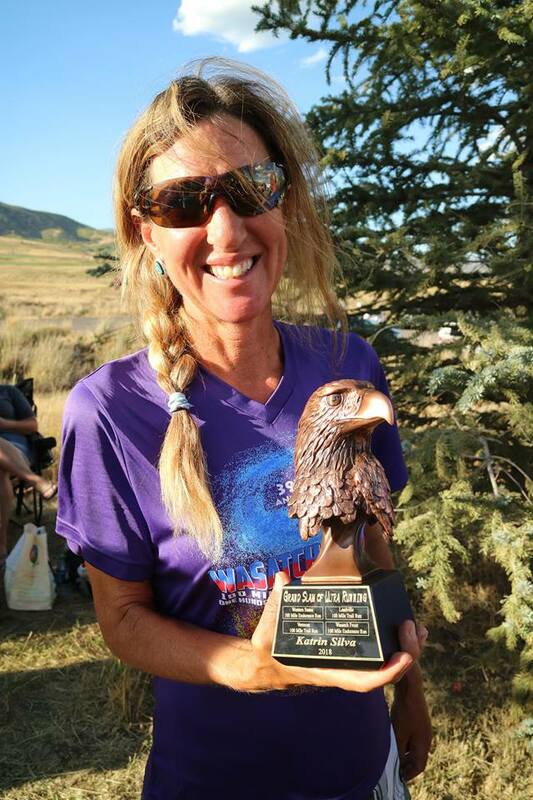 When I ran my first Western States 100, which follows the same course as the Tevis Cup endurance ride, I was surprised to learn that the finishing times for horses and humans are very similar for both races. We are very different animals in most regards, but endurance is a superpower we share. Horses and people can run 100 miles at a steady pace without a break; most other animals can’t. My own endurance training has helped me understand how important it is for horses to keep moving, how keeping them locked in a stall most of the time is the worst thing we can do to them. 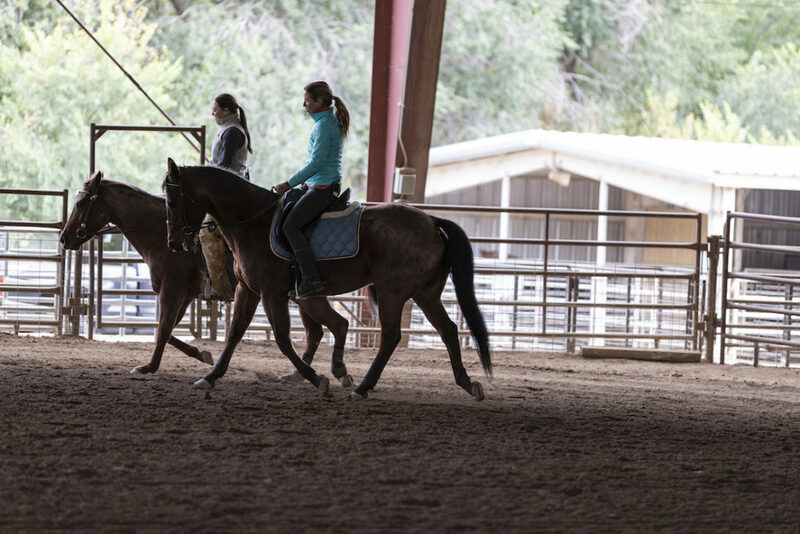 The secret to a more cooperative horse is often just more exercise – under saddle, in hand, on a lunge line, turned out with other horses, all of the above, every day, most of the day. 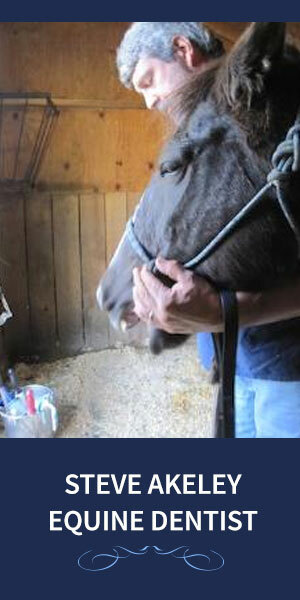 Many behavioral problems have a simple remedy: get the horse to move forward. The crabbiness and unease I feel now when I sit around too much must be what horses feel when we force them to be idle. Running 100’s has also taught me to enjoy the process of training, independent from the final outcome. In my twenties and early thirties, I used to train horses with a focus on some goal or other – usually doing well at a show, or moving up to the next level of dressage. With green horses that I started under saddle, my main goal was checking off the list of things I felt they needed to know before they could go home to their owners. When I started running ultras, I started to recalibrate my focus from goals and outcomes to the joy of being here, of running in that moment. When you train for a 100-mile run, you spend a ton of time moving forward at a pretty easy pace. The goal of finishing the race and earning a silver belt buckle can add motivation, but that distant promise of fleeting glory won’t by itself provide enough incentive to get you out on the trail day after day, hour after hour. Instead, running becomes part of who you are, something essential to your very being. I now realize I feel the same about horses. They are a part of me, so the time I spend with them is never wasted, whether it’s riding, ground work, grooming, barn chores, or just being around them. I still have goals, but winning ribbons now matters much less than the joy I find in my daily work, my daily connection with these amazing creatures. Perhaps the most important lesson I have learned from running ultras is that a good mindset is more important than physical talent. I am not a natural athlete, yet I’ve had a measure of success in tough races. Why? Working with horses all those years has given me plenty of grit and mental discipline. Whenever I watch the last finishers before the 30-hour cutoff at Western States, or Leadville, I’m amazed at how far the limits of human performance can be stretched when someone really, really wants to accomplish something. People who should probably not be upright and moving still manage to cross these finish lines every year, propelled by sheer determination. Someone said running 100’s is at least 50 percent mental. Based on personal experience, I know this is true. As I get older, I realize more and more that it’s just as true for working with horses. Training their minds is at least as important as developing their muscles. If I can get a horse to want to do what I’m asking, the training process won’t be a struggle that ends with a winner and a loser, but a willing partnership. If I can engage a horse’s mind in a positive way, any physical limitations he might have will matter a lot less. How do I engage a horse’s mind? By being just like I want the horse to be: calm, respectful, confident, consistent. By challenging each horse just enough to move one step beyond his current comfort zone. By recognizing signs of boredom, anxiety, or frustration, and adjusting what I do based on the feedback the horse gives me. By quitting every session on a good note. In short, by doing everything a good horse trainer should be doing anyway. 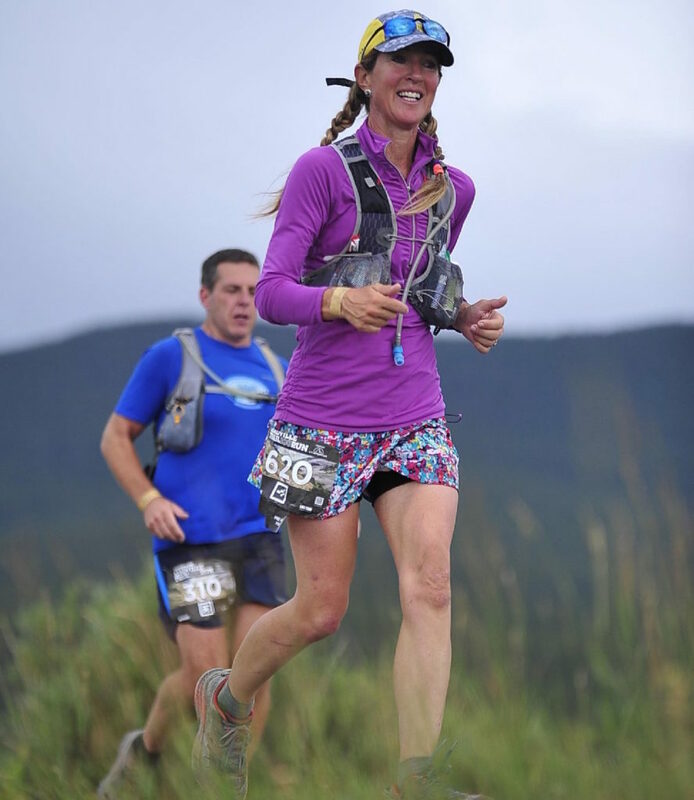 Not many horse trainers run ultras, and not many ultra runners train horses, probably because ultra running and horse training are two very involved, very time-consuming activities that don’t leave much time for other interests. 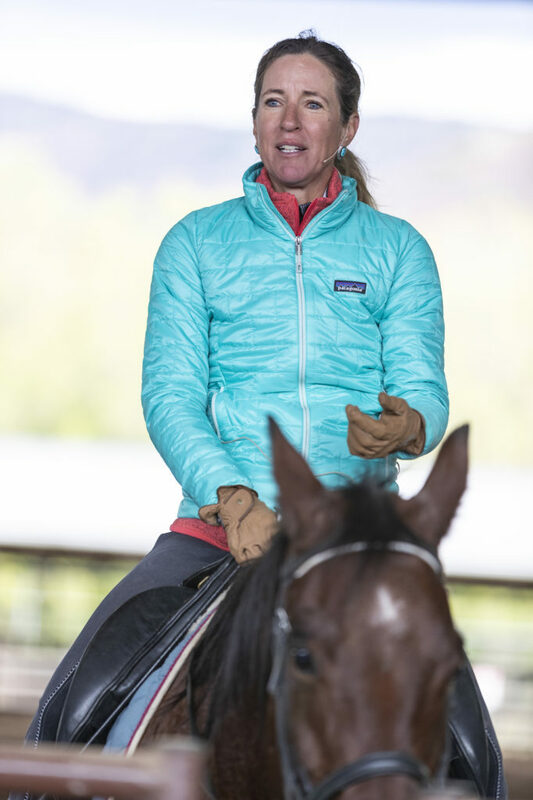 As a horse professional who runs 60-plus miles a week, I have very little time for watching television, spending time with friends, or cleaning my house. But running makes me ride better, and riding makes me run better. It’s a strange combination, and it works for me. Posted in BestHorsePractices Summit, Reflections, Training. Hi Nancy, I sometimes struggle to find that balance. At the same time, I know that running makes me ride better, riding makes me run better, and and doing both ultimately makes me a better human . Yes, it’s all connected. Thank you! I feel the same about riding and ballet. Each discipline enhances the other. Hi Verna, your combination of passions sounds more grueling than mine! I admire you. Keep dancing, with horses and without them.